A beautiful circa 1900 mahogany Art Nouveau bed. The bed features a slatted headboard with central carved panel and matching footboard. It comes complete with robust side irons which support a newly made pine slatted wooden base. All that is required is a standard double mattress. 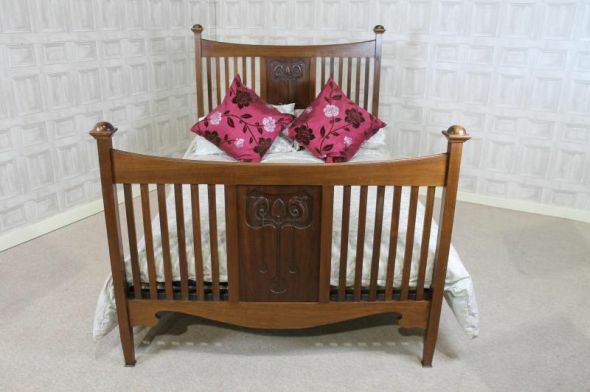 The bed is in excellent condition, and would be ideal to finish off any period bedroom setting. This bed is now sold.